I'm always coughing up my wages for the latest eyeshadow palette, but Morphe a brand that came to fame with their budget brush line-up, has produced yet another sell-out eyeshadow palette following on from the Morphe 35O, that hasn't left me penniless. 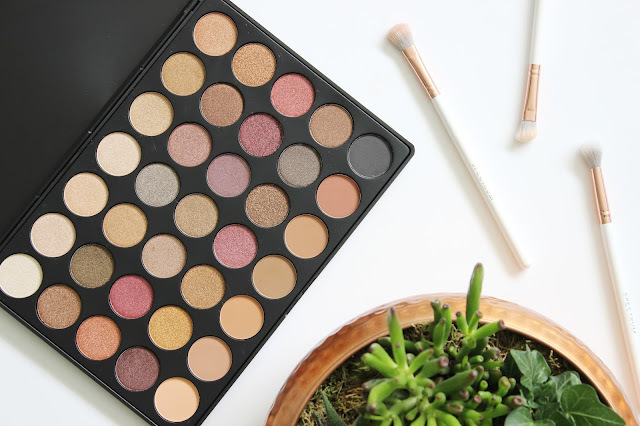 Each of the Morphe eyeshadow palettes offers a new array of shades and the Morphe 35F 'Fall Into Frost' Eyeshadow Palette £22.95 has a stellar selection for both the die-hard neutral fan and shimmerholic. Housed within a large, thin, non-fussy black palette, the Morphe 35F is comprised of 35 shades; 7 all-new matte shades and 28 rich frosty metallic colours. 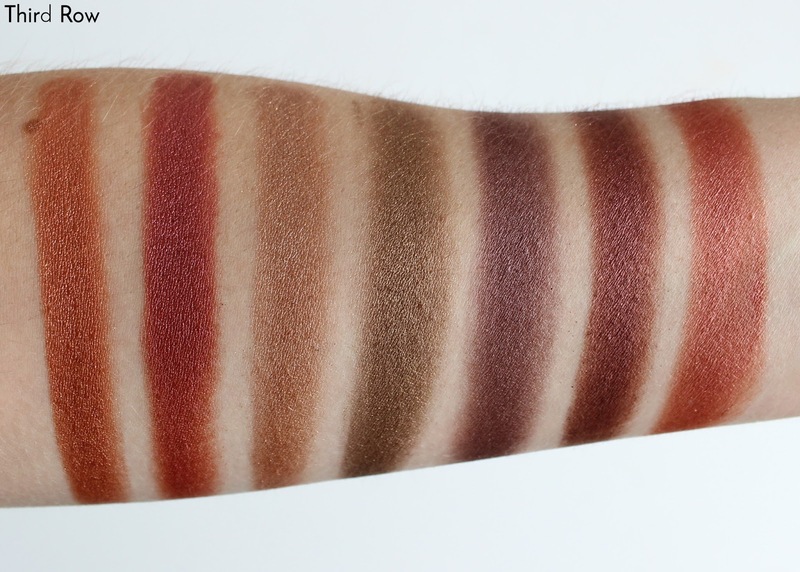 The versatile mixed finish palette has a selection of rustic neutrals, essential mattes and jewel-toned hues to help create countless looks come day or night. 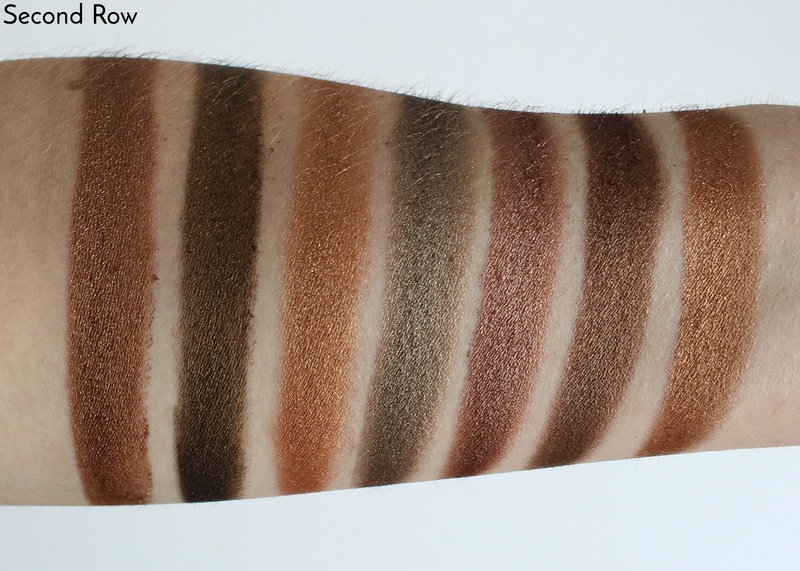 The matte shades have been grouped together and separated to the bottom row giving the palette a little more order in comparison to previous Morphe palettes. 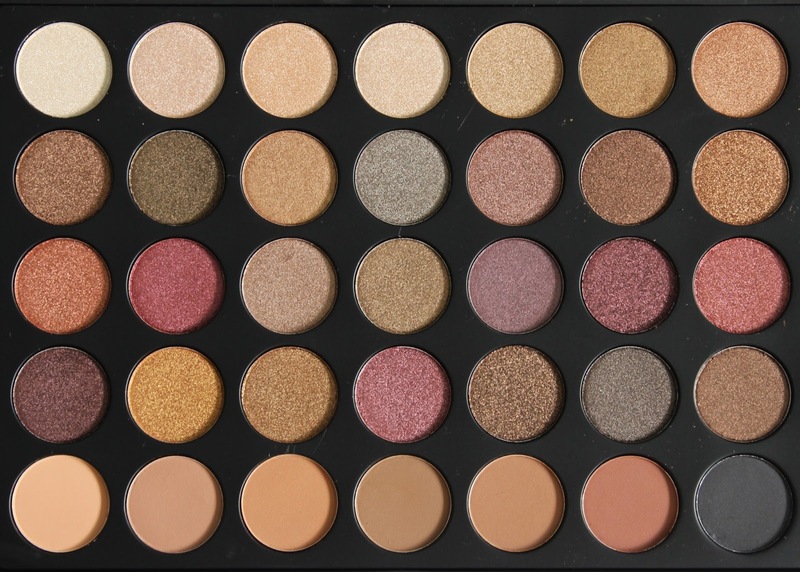 And it's needless to say the Morphe 35F has a handful of solid eyeshadow dupes, giving the likes of MAC Cosmetics and Makeup Geek a run for their money. The formulation has blown me away - the swatches speak for themselves! The eyeshadows are even more creamy and pigmented than the Morphe 35O. The metallic shades are deep, rich and intense with a beautiful high shine and chuck on a primer they last pretty well too without creasing. But it's worth keeping in mind a few shades are prone to minimal fall out, especially the top right copper shade which has silver flecks of glitter. 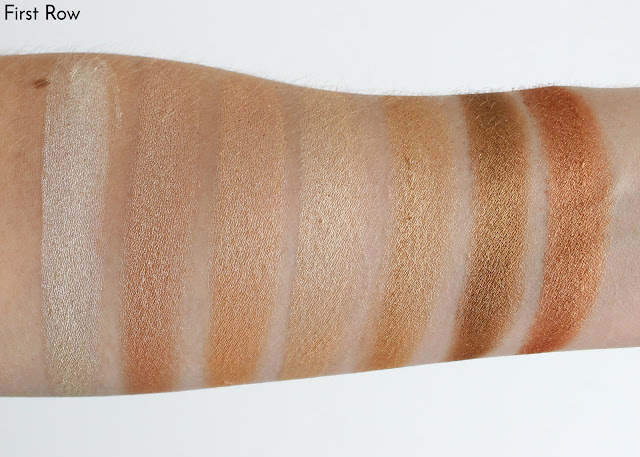 The matte shades whilst not as intensely pigmented as the metallic shades, build and blend well, which is ideal if you're yet to master your blending skills. 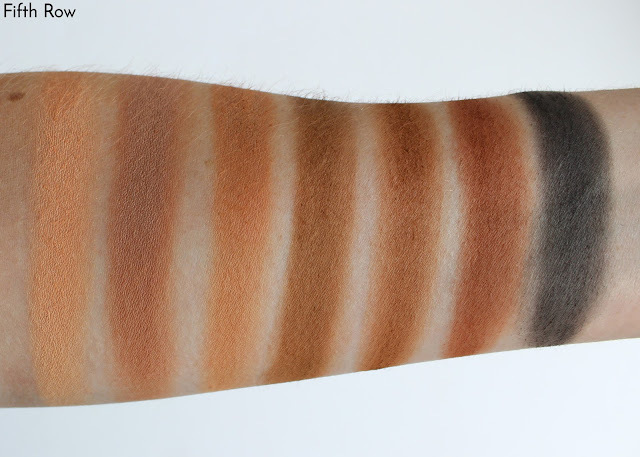 The only shade that disappointed is the matte black. It didn't build well and once blended appeared more grey than black, in short it isn't quite the pitch-perfect pitch black. 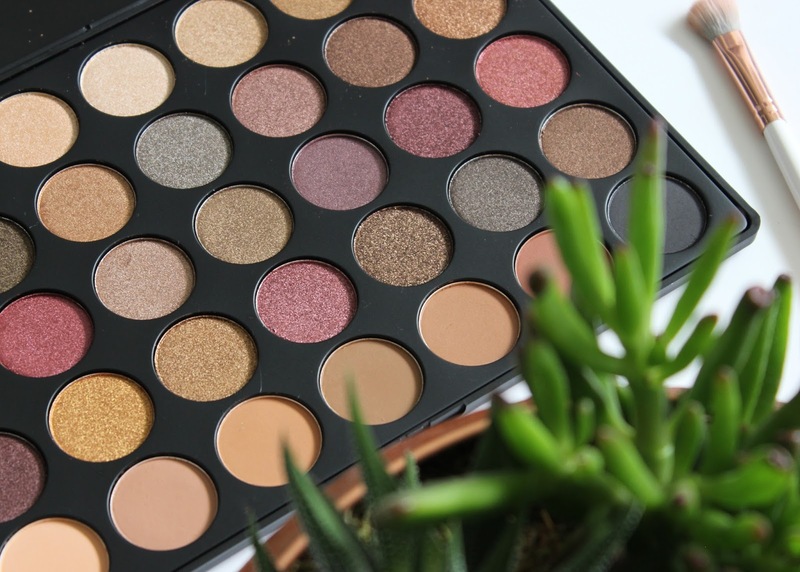 The Morphe 35F 'Fall Into Frost' Eyeshadow Palette can be bought online here at Beauty Chamber (£22.95) and is available at Beauty Bay. 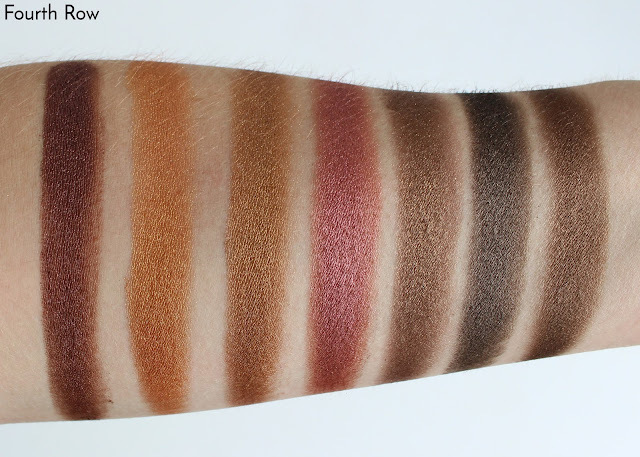 UPDATE: This palette is currently out of stock *insert crying face Emoji here*. Follow Beauty Chamber via Twitter & turn on notifications for stock updates. What are your thoughts on Morphe eyeshadow palettes?